I work in an office with lots of young moms. Well three, but in a law firm, that qualifies as lots. At least once a week, we run in to each other at the microwave and commiserate over teething babies, mom jeans, and meals. Or really, lack of meals. Someone mentions how she fed her baby grapes and tofu for dinner last night. Someone else chimes in that their family ate take-out sushi for the third night in a row. And I confess that we have perfected our "recipe" for baking the perfect frozen pizza. And we all feel bad. I don't know what it is about momhood that causes us to constantly feel bad and doubt our choices. Am I working too much? Am I not working enough? Am I too involved in my child's life? Not involved enough? Why do we have so much dirty laundry? Good god, why am I always stepping on Legos when I'm barely awake and trying to get my morning coffee on? And in the middle of this feel-bad-fest, one of the girls looks down at my lunch bowl and comments, "I don't know how you do it." Do what? Look like a sleep-deprived gremlin? That's courtesy of little man who is STILL waking up at 3 a.m. Oh, you mean how I rock these coal-miner nails? Yup, haven't had a manicure in over a year. Ah, perhaps you were referring to my poofy hair which moves on up and out at the first sign of moisture in the air. Oh, you mean, my lunch. Why am I eating a real meal that is relatively healthy and tastes pretty fantastic and not a frozen dinner that was made in 1984 or a plastic container of odd-looking greens some of which are purple because all of a sudden, it's trendy to eat purple colored salad leaves? Because, I really really like lunch. It's those few minutes of quiet in the middle of the day that allow me to get through it without pulling out what's left of my poofy hair. 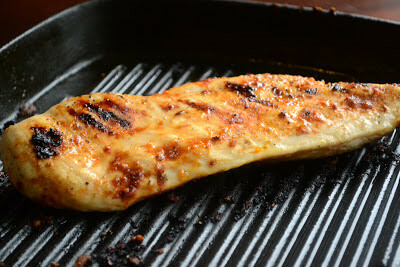 Heck, lunch is the raison d'etre of this very blog. I don't have all the answers to momhood, but I know that I like eating well. It makes me happier when my belly is full of real food. I work better when I nuke my tasty leftovers and bring them back to my desk. Take this Mexican Fried Rice. Yes, it is basically doctored up Spanish rice. But on a Wednesday night, when you're staring into a fridge that holds a container of two day old white rice and not much else, this recipe (if you can even call it that) is pretty much a lifesaver. Grab that old rice. Oh lookie here, some leftover chicken breast. Take that too. Open up your veggie drawer and take out any forgotten veggies. Peppers, mushrooms, spinach, yup all of those things work. Rough week and nothing in the veggie drawer? Grab a bag of frozen corn from the freezer. Next, find a can of tomato sauce in your pantry. Oh look, a can of black beans. Take that, too. Heat up some oil in a giant skillet. Cook up your Mexican Fried Rice with sass! Make extra so you have some for tomorrow's lunch. Oh, and don't let anyone eat the portion earmarked as your lunch leftovers (I'm looking at you, hubster! Eating my rice straight outta the pan!). It's tough being a working mom. So I'm going to cut myself some slack. And get another bowl of Mexican Fried Rice. Heat oil in skillet and cook onions until translucent. Add garlic and cook for a few minutes until fragrant. Add veggies and cook until soft (you may need to add a bit of water and lengthen the cooking time if you're cooking harder veggies like carrots). Once all of the veggies are soft, add the tomato product, spices, and cooked chicken (if you're using chicken). If you're using tomato paste, you'll need to add 1/4 cup of water and mix to create a loose paste. If you're using crushed tomatoes or tomato sauce, you will need to add only a few drops of water. Add the rice and mix thoroughly to ensure the rice is coated with the tomato and veggie mixture. Spread the rice in the pan and turn the heat on high. Do not keep stirring. Once the rice on the bottom is crispy, add a bit more oil to the pan and stir so the rice on the top is now on the bottom. Stop stirring so the rice can get crispy. Garnish with cilantro if you have it. Throw on some cheese. Heck, add some sour cream. And celebrate Wednesday. I would love to have that rice yumm. If I could dive into my computer screen and get to the other side, i would so grab that bowl of rice right now! Its looks delicious! I had no idea,I could complain so much until I became a mum. I mean I can complain really, but its gone to a whole new level altogether. And I agree tasty food in belly, definitely makes for a happy momma! I don't know how working moms do everything. They seem so capable of everything. As my children get older, I start to find even less time and I still don't know how to figure out my priorities sometimes since everything looks so important. 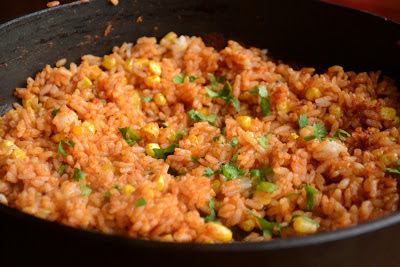 You are amazing, and your Mexican fried rice looks so delicious! Loved your post. Have gone through the phase and can tell you food drives me, so the thought of putting something together that can be quick but delicious is always inspiring. This rice looks wonderful! most if not all my young mom friends complain about being judged all the time and I tell them how they keep judging themselves in first place! This rice is exactly the type that works for working woman :) tons of flavor, cleans the fridge and carbs for energy! Azmina, no need to double think everything, I'm sure you're a wonderful mom. I don't have kids yet, but I can imagine how much how much juggling you have to do. This rice looks yummy! I love rice with vegetables and chicken from all cuisines. Oh my how I can relate to this! The entire post spoke to me as I am constantly second guessing my every move. (As I write this I am thinking, if I stopped reading blogs at lunch at got more work done during the 15 minute break I take then I could pick up Maya 15 minutes earlier...). Anyway, a manicure hasn't happened for me in 7 years at least. So you, my friend, are ahead of the game! Oh I remember the days of legos on the floor...lol! He's grown now and I have a new grandbaby. He'll probably bring legos ;) I have pinned this rice, it sounds awesome!! Yes, I like lunch too! I often think that I can by on a caffeine and sugar, from a cookie of course! but that isn't the case- I need real food and your lunch is looking pretty darn good here;-) I'm looking forward to our lunch where we will enjoy both real food and cookies! You're hilarious - I don't have kids (yet) but, as far as I can tell, you write momhood really well. I feel guilty about all this stuff without the excuse of a baby to take care of and my lunches certainly don't look as put-together as yours. Bravo! This is csuch a great post! I am keeping this one tucked away for some day when I have kids. Already, during busy weeks, laundry piles up, the house is a mess, my hair is unwashed - but we eat well. 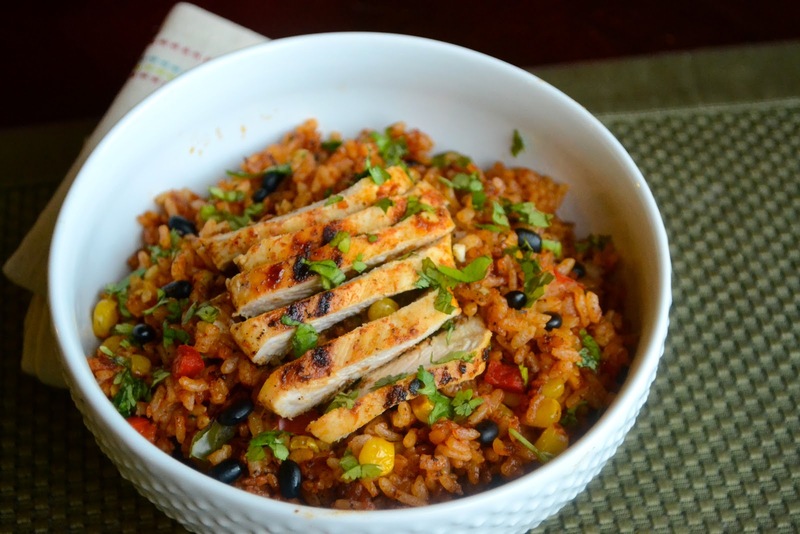 Really nice way to spice up Mexican rice! Good stuff. And highly entertaining post. Thanks. I agree...never sacrifice a wonderful meal! Your son will grow up loving those meals and knowing how important delicious and nutritious food is to the body and soul. What's a "manicure"? Preach it sister. I don't know how you and other working moms do it. Granted, I work from home, but at least I can throw a load in the washer and come back up to my desk, so house/business work crossover is possible. I do agree that good, healthy food is an absolute necessity. I'm not big on leftovers, but Hubby eats them in his lunch every day so I make sure to always cook enough at dinner so he can have a lunch or two afterwards. This is a perfect way to bump up the rice factor next time I make it. All three of us would love it. This looks delicious, and there's nothing like leftovers for lunch. I remember those days of babies and toddlers. Actually, I remember very little about them, especially due to those 3 am wakeup calls. I'm learning as the kids get older, it gets easier and more difficult at the same time. It's been so long since I've made fried rice! I definitely want to try your version. Bookmarked! Wow.. you are scaring me about motherhood.. really question it at times. But I do admire for you even having time to prepare a meal, and still manage to pack lunch for the next day. I have no kids and I still refuse to pack my lunch. 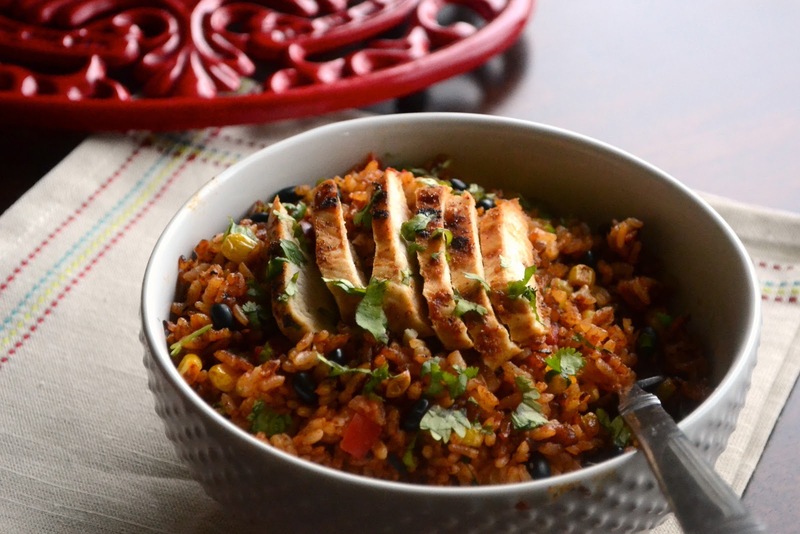 Your mex rice looks fantastic! I'm here by way of Dixya - oh my goodness, this meal has me salivating like crazy. I am not a food blogger but seriously, I think I need to change genres. Or just sign up as a personal taste-tester.